For men, learning how to get a girl to like you can be one of the most rewarding experiences. Once you know what creates attraction in men and women, you can finally go out and search for your ideal woman. If you think you’ve already found a girl that you would like to know better, then read on because creating attraction isn’t all that hard once you understand the basics. 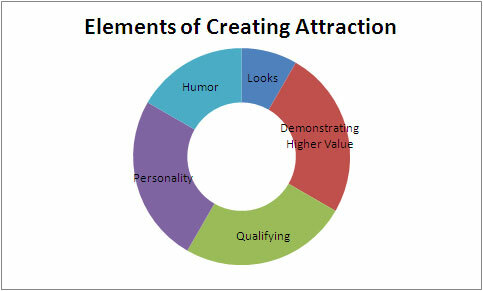 Even though this goes against every guide that promotes using personality for attraction, the easiest way to create attraction is to simply look good. Although personality is going to be the determining factor in the long run, if you’re just looking to create quick, raw attraction, then just look your best! It’s really that simple. Looking good for guys involves working out, taking care of your body, trimming your hair and of course, having a nice attire. If you can combine all of those, then all you have to do is show up, say “Hi” and you’re on your way to getting the girl to like you. Appearance applies to everything, from job meetings to online dating. It doesn’t matter if you’re 18 or if you’re 65 and trying out senior dating, looks always matter to a certain extent. However, if you’re going to build even more attraction and sustain it, then you better have some personality and confidence to back it up. Your looks might initially work, but within a few minutes, if you’re as boring as a door knob then that attraction is going to dissipate pretty rapidly. So let’s concentrate on the second aspect that will get girls liking you. Humans are very much alike in the sense that we all want what’s most valuable. If you have the choice between a $5 can opener and a $15 one, then you’re likely to want the more expensive one even if you can’t afford it. (Side Note: I bought the $15 one and it’s amazing) The same thing happens with humans, when you seem more valuable, people will want you… even if that value isn’t based on reality. You see, pretty much everyone has some value, it’s all about how you present your value to the world that will make the difference. The best way to demonstrate higher value is through stories in which you casually sneak in elements that make you look good. For example, you could be telling the story about the time you went to the beach (already a DHV activity) followed by how you helped push a beached whale back into the ocean (Although you might want to check if that’s humanly possible first). Casual stories, hopefully better than the one I just made up, are the best ways of showing off your value without outright saying: “Hello, I save whales and I have famous friends” … which would make you look like someone who’s simply bragging. The next way to build attraction is to turn the tables around. You know how guys are usually chasing the girl? Well in this scenario, we flip the tables and we get the girl to chase the guy instead. When you go into “chasing” mode, you automatically create a strong desire for whatever you’re chasing and nothing will convince you otherwise. So how do you turn the tables? Well the first thing to do is to make a list of ideal qualities you would want in a girl. Figure out exactly how your ideal woman would behave, what personality traits would she have, what kind of occupation and so on. Then once you’re with a girl with whom you would like to create attraction with, simply try to figure out if she matches the imaginary portrait of your ideal woman. For instance, if you wrote that your ideal woman must like strawberries and long runs in the rain, then simply ask her! Obviously, you’ll want to integrate it into a normal conversation like: “Hey, the other day I had a dream I was running in the rain, it was kind of weird but I liked that idea… what do you think about it? Would you ever run in the rain?” Then simply listen to her response and maybe say… “Oh, well if you don’t like running in the rain, what do you like to do?”. Make her answer questions about herself, allow her to try to convince you to like her and then let her “Win you over”. When you’re asking her questions, you might actually realize you really don’t like her. It’s a possibility but isn’t that worth finding out early on? Qualifying not only increases attraction, but allows you get to know the girl better. It also builds comfort and finally, it allows you to figure out if you really like her! Guys frequently become much more comfortable at this stage because they realize that the girl in question is in fact, only human. The key learning how to get a girl to like you is quite a long one, but it always starts by you knowing what you want. From there, you’ll know what you have to do and become to get it. I’m really amazed at how rich this site is.